One of most amazing things about community theater is the people who give their talent and time so that we can be entertained, moved and inspired. At Oglebay Institute’s Towngate Theatre, we are lucky to have a large number of these talented people share their creative skills with us. Some are veterans who have honed their skills and bring a polished craft to their performances. Others are new to the stage, entering the realm of acting with a fresh face and vigor. And some contribute in ways that you may never even think about. Wheeling Park High School student Chelsea McAvoy provides her unique gifts not on the stage, but in the technical booth. And without her contributions, the shows would not be the same. We sat down with Chelsea and asked her a few questions about herself and what she does at Towngate. Towngate Theatre: So, you do technical work at Towngate Theatre. How long have you been doing that? Chelsea: I have been doing tech for Towngate for about four years. I have been assisting in set production for six years. Towngate Theatre: How did you first get involved in doing tech for Towngate? Chelsea: When I was about 10 or 11 years old, my mother signed me up for a stage production class at Towngate Theatre taught by P.D. Gregg. I fell in love with it. I started out building small portions of sets and painting them. As I grew older and more familiar with the work, P.D. had me come in more often after school to help build for upcoming shows. When I was 12 years old, he decided it was time for me to learn tech work. 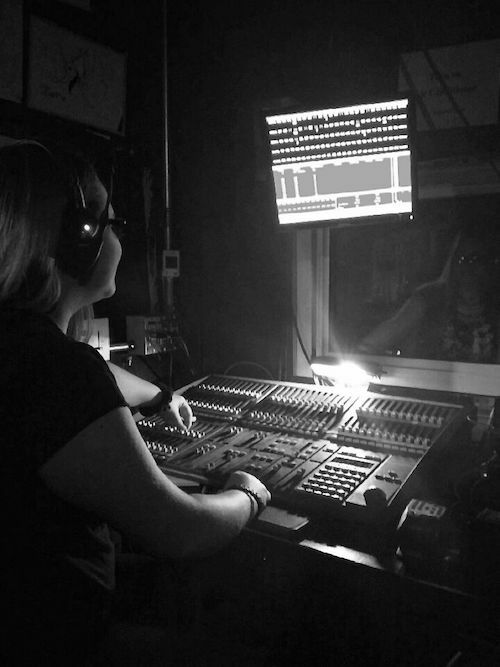 Of course, it was a lot to take in at first, but I eventually was able to program light cues and operate the light board itself efficiently. Towngate Theatre: That’s great. Do you do this work anywhere else? Chelsea: Currently, no. I do take an Applied Tech Theater class at Wheeling Park High School, but I mostly assist in painting and set building. Towngate Theatre: What do you like about doing tech? Chelsea: I like that I can be a part of something beautiful and that helps the community artistically. The fact that I am shining a light on a talented actor who brings joy to every person in the audience that walks through our doors makes me absolutely over the moon. Towngate Theatre: What is your favorite aspect of tech work? Chelsea: It would have to be either programming light cues or helping choose gobos and gels for certain lights. Towngate Theatre: Do you find it rewarding? Chelsea: Yes. The reason why it is rewarding is it’s not so much whether it brings me profit or recognition. It’s the benefit of knowing you have touched someone’s heart with what you are doing and maybe just maybe that person needed the happiness you could give. The theater is a great way to escape reality. which I often find is one of the best perks. Towngate Theatre: When you’re not at Towngate, what are you doing? Chelsea: I am either creating my own original artwork or seeing other productions in Pittsburgh. This following year I got to go see “Anastasia” for the first time. It was an incredible experience. Towngate Theatre: What are other hobbies or interests? 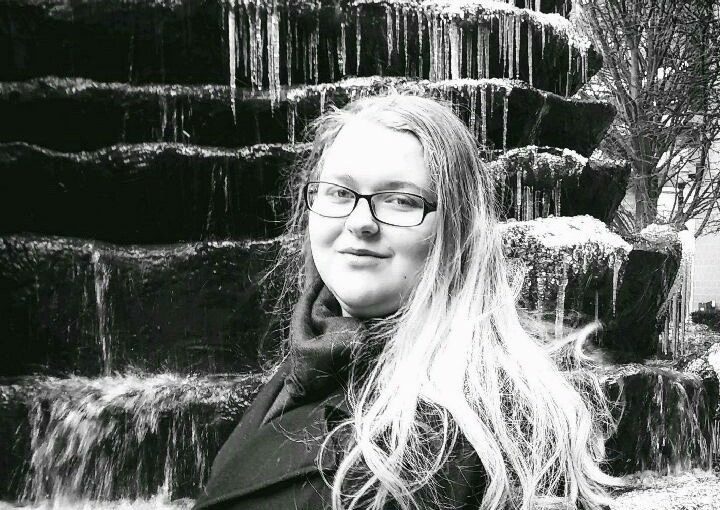 Chelsea: Besides tech, I have taken an interest in set design and graphic design. Dave Henderson, our talented set designer, does such amazing work for our shows, and I hope to learn from his example and create my own ideas for other sets. Towngate Theatre: That’s great. Sounds like you’ve got talent that will just keep growing. Chelsea: I just wanted to say I wouldn’t be where I am today without Tim Thompson, Dave Henderson, and, most importantly, P.D. Gregg. These three gentlemen gave me the opportunity to do what I love most. P.D. helped me find a part of myself that I never knew existed, and I thank him so much for that. I had my ups and downs, but he never stopped believing in me and my capabilities. I hope as I continue to improve my work at Towngate that I will make them all proud. Written by Irish playwright and actor Dion Boucicault, “The Shaughraun” is a comedic melodrama set in County Sligo, Ireland, in the late 1800s. The story centers on a convict who has escaped from Australia and sneaked back into Ireland. While searching for the convict, an English officer falls for the convict’s sister…and the story goes on from there. Towngate’s production is directed by P.D. Gregg. The cast comprises Towngate veterans and newer actors including Kathy Burley, Jon Coffield, Eric Dutton, Bethany Fernbaugh, Pete Fernbaugh, Dee Gregg, Noah Hilton, Emily Hores, Karissa Martin, Wayne McCord, Arlene Merryman, Bailey Ramsay, Brendan Sheehan, Jim Showalter, Marion Stolz, Zachary Thompson and Walt Warren. You have two more chances to see Towngate’s production of “The Shaughraun.” It will be staged March 22 & 23. Curtain is at 8pm. Admission is $12.50/$11 OI members. Purchase tickets online or call 304-242-7700.